What can I say about this book... it is just so amazing!! It starts out slow, the first couple of chapters are not that interesting but once you get past them the story picks up and never lets you go. It will take you back in time and draw you into the characters lives. Jamie and Claire are just such a wonderful love story. I don't want to give away anything of the plot in my review, but I just want to say that it is truly amazing and that if you read it you will not be sorry! I have recommended this to so many friends and when they would finish it they always come to me just amazed and so happy that I got them hooked on this series. 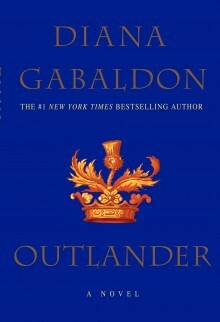 GO and pick up a copy of Outlander, you won't be sorry!